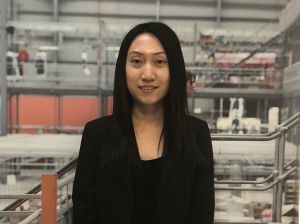 With a Master of Enterprise and Master of Supply Chain Management under her belt, Melody Wang now works at Toll in the role of Business Analyst – Operations. Her most ambitious goal yet? Setting up a supply chain from Australia to China. Melody attributes her decision to study two Masters degrees at the Melbourne Business School (MBS) to pure interest. Her enthusiasm about corporate management and supply chain management led her to study the Master of Enterprise, as she wanted a holistic understanding of an organisation. Her interest in supply chain management, however, lingered, consequently inspiring her to enrol in the Master of Supply Chain Management after the conclusion of her studies in Enterprise. Melody now works at Toll, a leading logistics provider with a global network that spans more than fifty countries and covers strategic road, air, sea and rail routes. A key part of Melody’s work is improving Toll’s operational performance, including standardising DIFOT (deliver in full and on time) measurement and reporting. Melody’s primary goal now is driving revenue for Toll, which will be achieved by setting up a one-stop supply chain between Australia and China. In the near future, she hopes to manage the operational and commercial aspects of the project. Find out more about the Master of Enterprise and Master of Supply Chain Management.